Figure 1: Some examples, from L to R, photographed by Dan MacNeal (8 Dec 2014), Joe Wilson (1 Dec 2014), Luke Berg (6 Nov 2014), Raymond J Barlow (23 Feb 2008). 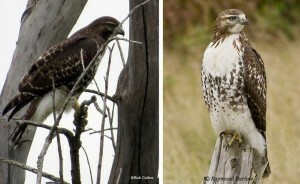 The bottom bird was photographed in Minnesota on 26 Oct 2008 by Jerry Liguori. 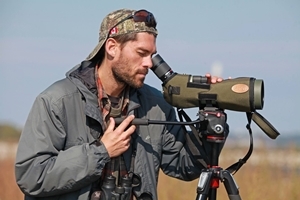 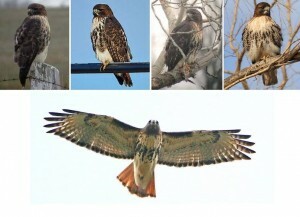 Lastly, for eBird users, abieticola Red-tails can be selected as an option when entering your data: http://ebird.org/content/canada/news/identifying-northern-red-tailed-hawks/.